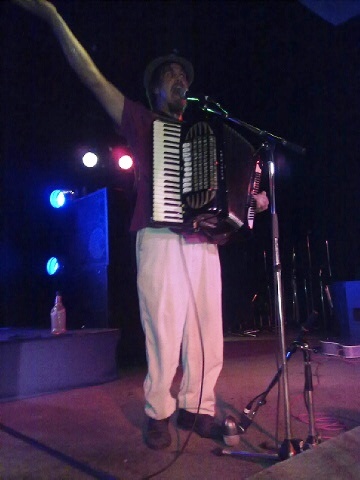 Early last week, Jason Webley arrived in Queensland to finish the Down Under leg of 2011’s epic world tour. Finally seeing him perform, after four and a half years of waiting, was a singular joy. Webley’s Brisbane show at The Zoo on March 23 attracted around 200 punters, all very ready to stomp and sing and become his makeshift orchestra. When he’s on stage, the slogan on promo posters, “post-apocalyptic fun,” makes perfect sense. I can imagine Webley—in his beloved, battered dancing hat—as the kind of musician that would get us through the apocalypse and still have us dancing even after the sky had long since crashed down. Those who came along to Webley’s farewell house party (/hosts’ housewarming) were in for an extra treat. The night turned into one long, glorious jam session. (I even got out my trumpet! And toyed with an unsuspecting ukelele!) You’ll find a garage-full of people playing Eleven Saints floating around on YouTube, no doubt. More gravewalks means more grave poems—a good thing, since last year’s ramblings are beginning to see the light. Issue 35 of Cordite Poetry Review, Oz-Ko (Envoy) is online as of today, and I’m super excited to say that there you’ll find Warning. Consider it the introduction to that forthcoming cemetery collection I so often talk about (see! bits of it exist!). And in extra shiny, super-duper rad breaking news, our own Jeremy Thompson is one of three poets commended by judge Peter Minter in 2010’s Overland Judith Wright Poetry Prize, rising above over 1000 entries into the realm of Awesome. Whee! Bear with me, because my segues for this blog are about to get worse. In fact, non-existent. Run with it. You might remember me raving away last year about a wonderful little Brisbane show called boy girl wall. Well, it’s back on this year at La Boite, and last night’s opening performance proved its just as marvellous as we thought the first time around. Maybe a bit more marvellous. 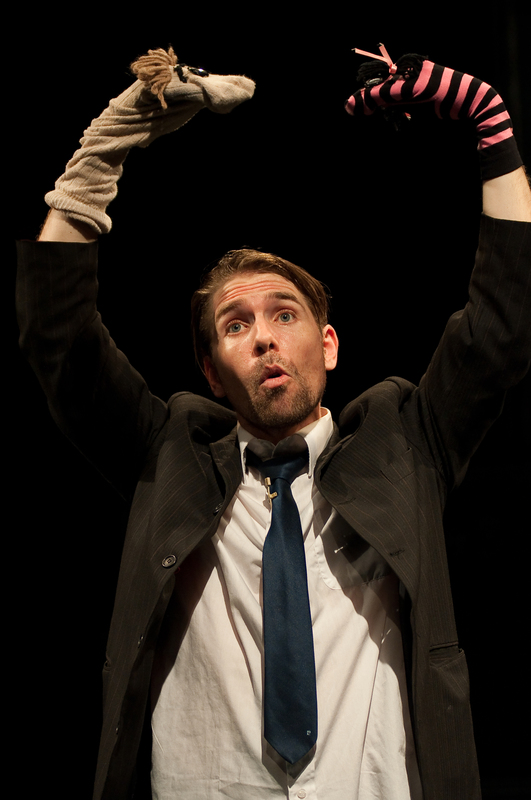 In 2010, The Escapists’ one-man show, performed by Lucas Stibbard—with live music from Neridah Waters—relied on the walls of the Sue Benner Theatre at Metro Arts (the set was literally drawn on with chalk), so I was interested to see how they’d handle La Boite’s in-the-round set-up. Fortunately, The Escapists have made something gorgeous out of a potential problem: a chalk-board green stage hits the horizon line and becomes a collage of blackboards rising into the rafters. In the vast La Boite space, Keith Clark’s lighting really helps to hold everything together (I only wish he could use his lighting powers to rig up a more powerful OHT). Beyond the venue, not too much has changed, and it was lovely to visit the 20-something characters again (especially dear Power Box and the lovely, but somewhat gothic library assistant). The script is clever, life-affirming, and above all, maddeningly funny. Seeing boy girl wall again, the influence of Under Milk Wood (which Stibbard and I chatted about recently in Rave Magazine) becomes delightfully clear. If you enjoy being happy, you should grab tickets before the rest of the season sells out.